Ezechiel "Zeek" Bly is a New York City young professional and licensed real estate agent well acquainted with every Manhattan neighborhood and Brooklyn. Zeek is on the Bob Brooks team, a team with 20 years of experience with affiliations with every landlord, manager and real estate broker in Manhattan. Zeek is a first generation English speaker, fluent in French, speaks elementary Mandarin and conversational Spanish. Zeek also has traveled to Europe, Asia, Africa, and Latin America, therefore, has a vast repertoire of cultural experiences. This makes it easy to build rapport with any client demographic. Coming from a top-tier financial services firm, Zeek works with a high sense of urgency to ensure that you live in your top neighborhood choice in a building which offers the amenities you require. Let's find you the home you'll love! Ezechiel was extremely affable and quick to assess and understand my needs. He was honest, efficient, and got things done. He laid out the facts and did not try to embellish things to make a sale. He was more committed than all the other brokers I’ve worked with and did not rest until we found the apartment I loved. I highly recommend working with Ezechiel if you want to find your dream home quickly, hassle free, and have fun doing it. I will refer him to anyone looking to rent or buy in New York! Ezechiel Bly was absolutely amazing!! He worked so hard to find me the perfect apartment to fulfill all of my desired needs/wants (1 bedroom, wood floors, large closet space, bath tub, walking distance to my job, and within my price range). He did a wonderful job at narrowing down the search to reach my preferences. Once we found the apartment that I fell in love with, Ezechiel made it his top priority to get me into that apartment as quickly as possible. During the process, Ezechiel helped push me to get my paperwork in as soon as possible so that I had advantage over the other applicant. I could never have gotten the most perfect apartment as quickly as I did from working with Ezechiel. He was thorough and clear when giving instructions. He was kind and consistent. Within one week of looking at the apartment, Ezechiel had me signing my lease. It was such a smooth process. Bond is a great Company and Ezechiel is the perfect person to work with when looking for an apartment with limited time and narrow preferences. Thank you Ezechie! I am very excited to move into my new home! 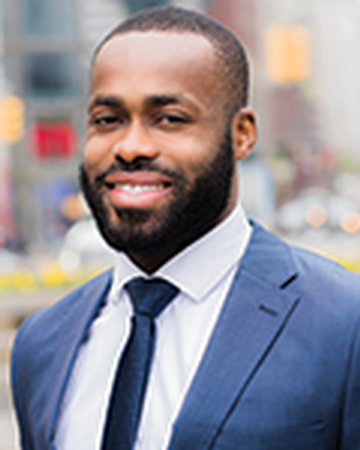 Ezechiel was tremendously helpful, personable, communicative, and positive during our search for my first apartment in New York. I don''t know what we would have done without him. We traveled all around neighborhoods in Manhattan with him while he filled us with information, diligently contacted landlords, and brought us to properties that suited our needs. Whatever request we threw at him, he was ready to listen, recalculate, and refine his search with good humor and optimism. Not only was he a wonderful professional, he was funny, kind, and made me and my family feel welcome and at-ease. He gave 100% and we are so grateful. Zeek helped me and my husband find our perfect apartment within 2 weeks. He''s fast at understanding me and my husband''s needs and was able to show us apartments that are within our budgets and expectation within a very short time. He also helped us to fight most of our deposit back from our previous landlord. Otherwise, we would''ve lost most of the deposit due to unreasonable charges. I highly recommend him for his skill sets and professionalism in this industry and pleasant personality to work with.